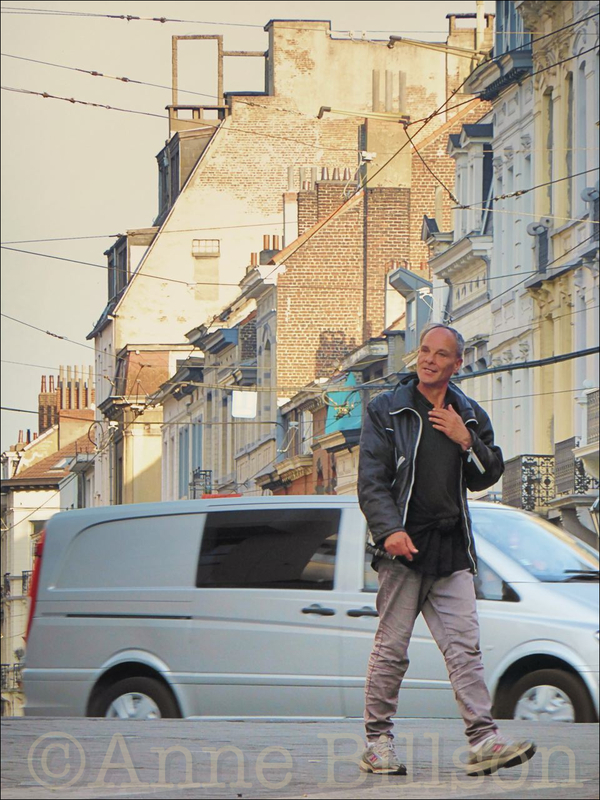 Van man: Charleroise Steenweg, Sint-Gillis. He looks far too distinguished to be a common or garden van man. I don’t think he has anything to do with the van; it was passing in the background. I just called him that as an aide-memoire, more than anything, because if I don’t give each picture a different title it rapidly descends into even more chaos than it is already. There’s a man and a van in this one, which was good enough for me! Ah yes, I do that all the time!